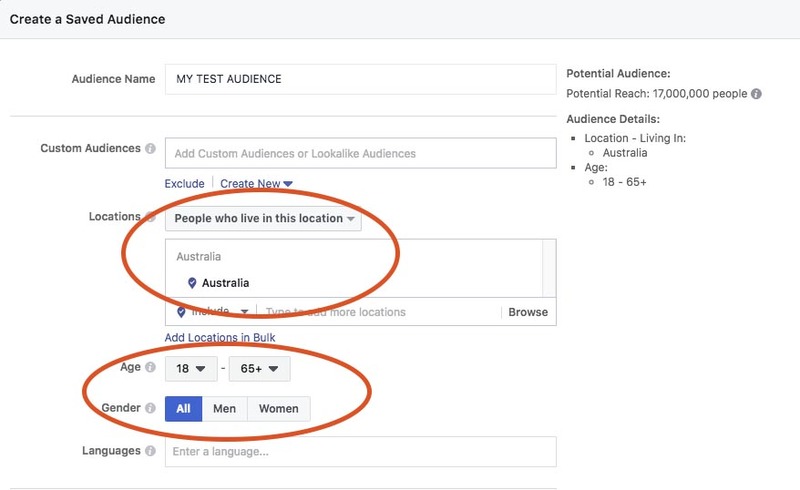 Your Objective in this Guide is to create an Audience for Your Facebook Advertising that Closely Matches the Ideal Target Customer of Your Business. 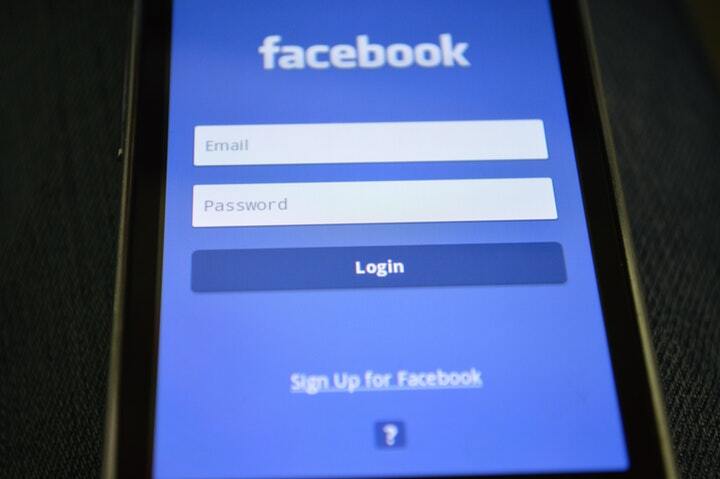 Follow these 11 simple steps to set yourself up for Effective Targeting of your Facebook Advertising. Under the Audience tab, click on the Blue button – ‘CREATE AUDIENCE’, then click ‘SAVED AUDIENCE’. Select the location as whatever your business service area is… You can select countries, states or even individual suburbs. Individual suburbs can be targeted with a radius around them or just as the suburb itself. Location can be targeted by those who live in the area, travel in the area or were recently IN the area depending on your specific business requirements. Select your age bracket based on your customer profiling – Remember we want as big an audience as possible so don’t make it too restrictive – try adding 5-10 years on each end. Select your language – For English speakers, select English (All). 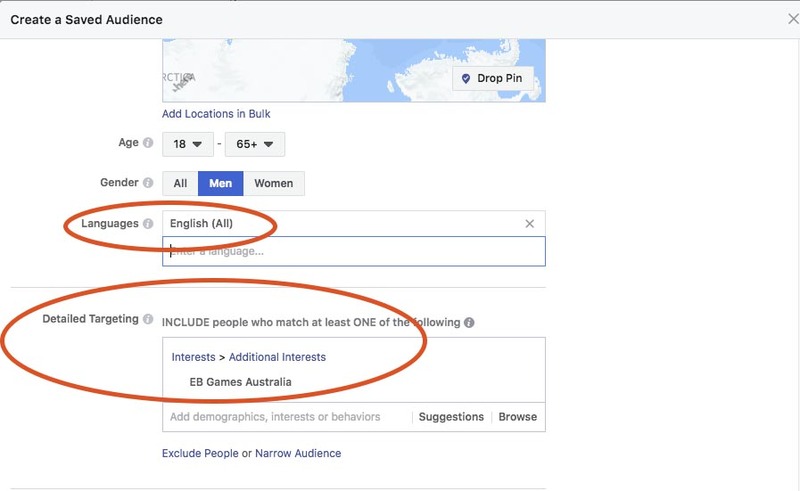 For Detailed targeting select the Interest(s) and / or demographics that most closely define your Ideal Target Customer. OPTIONALLY: Select Connections to include or exclude people who already have a connection to you. Click ‘CREATE AUDIENCE’ to Finish. The 3 Most Important Questions to ask before starting any Digital Marketing Campaign.